Some news items are easier to write multiple jokes about than others. 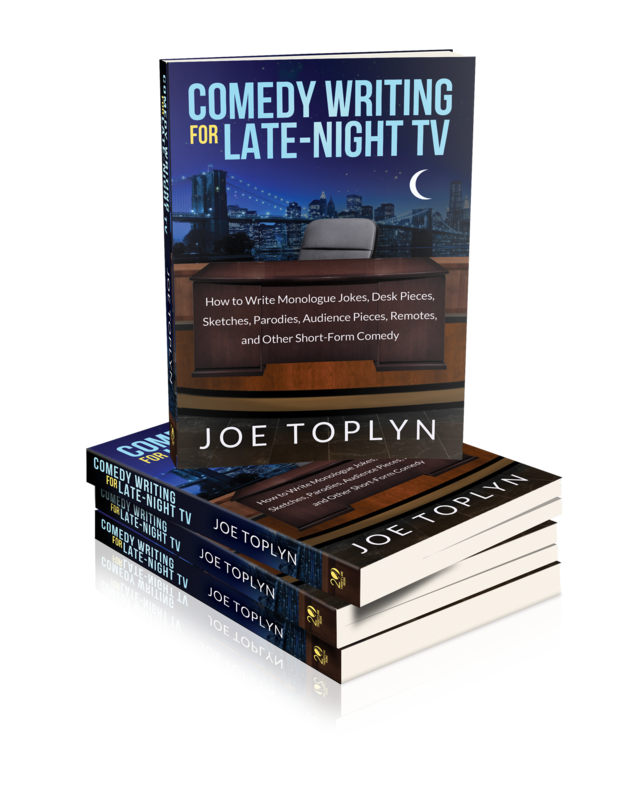 Monologue writers like those news items because cranking out several jokes about the same news item takes less time than hunting down other promising news items and then writing jokes about those. So what makes a news item a good candidate for multiple jokes, or, as I say, fertile? The answer lies in the handles of the news item. The handles are the most attention-grabbing words or phrases in the news item, those details that stand out the most. One reason that headline lit up on my joke topic radar was because it has two handles and each handle has a lot of associations, which are words or phrases that come to mind when you think about something. Two handles with a lot of associations make a news item fertile because linking handles using their associations is one of the main ways to create punch lines. So the more associations, the more possible punch lines. Here’s how that principle works in practice. 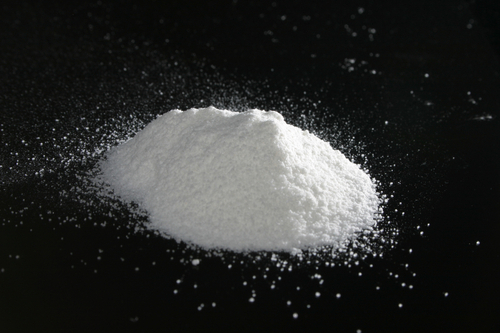 In the above news item the two handles are “coke” and ”breast implants.” The associations of “coke” include “Colombia,” “snort,” “Coca Cola,” and lots of others. The associations of “breast implants” include “D cup,” “silicone,” “Pamela Anderson,” and many more. 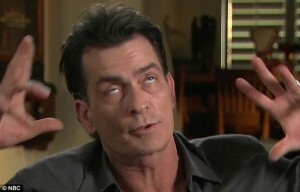 The point is that jokes flowed freely from that news item because it has two handles with a lot of associations. So focus first on news items like that when you’re hunting for possible joke topics. 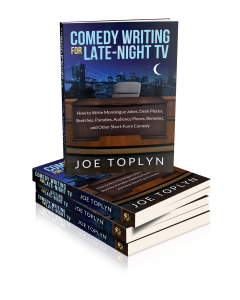 Learn more about my six Punch Line Makers in my book Comedy Writing for Late-Night TV.